I know many of you are ready to have 2016 behind you and hope you are starting your New Year off healthy and strong. I have lots of changes going on in 2017 and will keep you posted when I have more details. You will see some updates coming to the website. If there is something you would like to see me do differently—whether that be services, retail, website, online booking, gift certificate sales or whatever—please let me know! I value your feedback. It’s official, I finally bought a house! Smokers and I will be moving the first weekend in February. We are ready to be settled in our own place. There is lots of work to do and renovations to take place but I can’t wait. This year my plan is to have an event of some kind every month. It might be a movie night, book discussion, art class, archery class, a cooking class or who knows what. Just keep an eye out in the newsletters, on Facebook and Instagram. This is the year of the Red Fire Chicken/Rooster – ring in Chinese New Year on Saturday, January 28, 2017. Rooster are loyal, committed, hardworking and have strong family values. Appearances are important this year. This will be a year of finances. Chicken is connected to the autumn season, a time of harvest and then of relaxing and enjoying the fruits of your labor. It will be a year that is hard to see your future. Things might be very foggy or unclear. This year will be a powerful one, with no middle of the road when it comes to moving forward. This year, impressions count so be sure to look your best. Be very clear on your intentions in regards to love, money, and business. No risky ventures, just be practical. 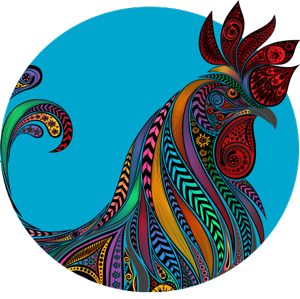 Be sure to check out the link above and look up your Zodiac Animal to discern what the year of the Chicken/Rooster has in store for you. Huge Clearance Sale at the Shop! There is a huge clearance sale going on at the shop! I really need to find my current goodies new homes. 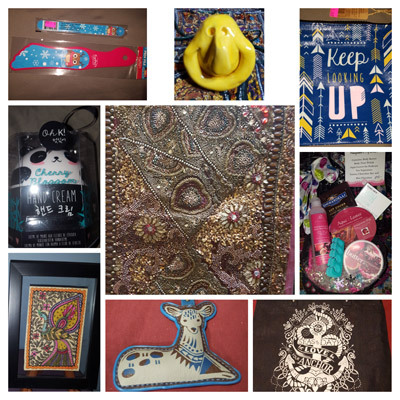 I have a few art pieces, tablecloths, wall art and jewelry left – I have these marked down A LOT! There are also a few items from Tibet. So if you have been holding off, now is the time to have something new for your house! Tangerines and oranges are a very auspicious symbol during Chinese New Year. Tangerine sounds very similar to the word “Luck” and Orange sounds very similar to “Wealth” in the Chinese language and who doesn’t want a little of both of those! So let’s add a little extra luck and wealth to your skin and your 2017 adventure with our Orange Blossom Facial. This facial is perfect for Anti-aging, Normal/Combination Skin, and Normal to Dry skin. Oranges provide a boost of Vitamin C and cloves have a scavenging activity towards free radicals. These two come together in this memorable and scent-filled anti-aging facial. 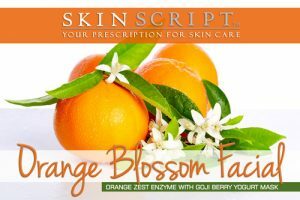 We will be using a blend of Saucy Chica Skincare products with SkinScript Orange Zest Enzyme, which is a powerful antioxidant that brightens the skin with 4% lactic and 1.5% glycolic acids that digest dead skin cells and soften sebum and Goji Berry Yogurt Mask, which is a yogurt-based mask that is great for hydrating and infusing nourishment into the skin. I love this treatment. It smells delicious and feels amazing. This treatment is available for a limited time so be sure to schedule yours today by booking online at www.RaspberryMoonST.com, via email at RaspberryMoonST@gmail.com, and now call/text at 864.271.2710. Yes we have changed services and fingers crossed (we all know how electronics hate me) you can also text me. In the next week or so, you will start to receive email and text confirmations and reminders. So if any of your information has changed be sure we get it updated so you get your reminders. That being said, if you no show or cancel at the last minute, I will have to beat you and charge you for your missed appointment. Don’t make me be mean! Love you! I have an opening for 3 Ladies who want to learn gun safety and have target practice. My friend Martin is an avid gun enthusiast. He is very knowledgeable and a great teacher. We will be meeting on his land (inside) to discuss gun safety and have target practice. We will be shooting air guns but you can bring your gun if you have specific questions. Please be sure to bring eye protection. Afterwards heading to Ktown for dinner and drinks cuz it’s my birthday! I am sure we will meet up with more people then. This class is part of our year-long learning experience. Cost to attend is $10. There are only 3 spots available on this adventure, first come first serve. Just in time for Satan’s Holiday–I mean Valentine’s Day, Chocolate Tasting at Kilwans downtown with dinner after, most likely at Handi or LemonGrass. This event will be limited to 10 people. Cost for the tasting is $10 and feel free to BYOB. 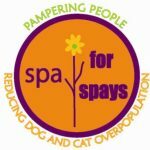 The 11th Annual Spa for Spays! We have all sorts of great things going on this year, some new services, awesome Silent Auction items, and a Boutique full of all sorts of great new or gently used goodies for sale. Tickets go on sale soon so be sure to get yours and get first pick of services. We are still looking for practitioners, silent auction items, and items for the Boutique. So organize those closets, clean out those drawers and help support our furry, 4 legged friends. The Year of the Rooster/Chicken should be a good money year for most of us but let’s help it along a little. More details coming in the February Newsletter! I’m planning at least one event per month in 2017. Did you know that we are on Facebook and Instagram? Be sure to follow us on your preferred site (or both!) to see what all is going on, specials offers, and events. April 27 to May 1 – I am heading out to AZ for a Skincare Business and Wellness Retreat with SkinScripts. This is the line of skincare I have been using for some fun new enzymes and masks. I really have enjoyed using their product line and their education is top notch. I can’t wait to see what all we learn and in a beautiful setting in Tempe, AZ. Then I am off to Salt Lake City for a few days to see some friends, check out their new adventure – Prohibition Ink. My friends are fabulous artists so I am going to pick their brains for some design advice on my new project that I will tell you about soon!